A secret for coping with the single life"
The world tells us we have to keep buying, buying, buying. Always wanting the latest "must-have" item can lead to a treadmill of debt and dissatisfaction. It's better to find happiness by appreciating common things. I am grateful for the food God provides me every day. To have a place to live, a car to drive, meaningful work--all these things bring comfort. If we learn to appreciate the things we have instead of being disgruntled over the things we don't have, we'll be more contented. The single life can be frustrating, that's for sure. But we can be a lot happier if we pour our energy into thankfulness instead of envy. Do you believe you're a hopeless case? About a month ago, a single person emailed me, insisting they were hopeless. After 40+ years in the single life, I can assure you that how you see yourself has a huge impact on how your life turns out. Believe you're hopeless? You won't even try, figuring, "What's the use?" I can also assure you that your perspective on your own life is skewed. You've become so overwhelmed by the bad things that have happened to you that you don't believe anything good will ever happen. That's why I wrote Hope for Hurting Singles. Get a new outlook on life. Learn to discover and develop your positive qualities. Build on small successes. Most important of all, find the true source of self-esteem that never fails. I mean it! Hope for Hurting Singles is a Christian ebook that will put you back on the path to joy. There is hope for you, and you can find it here. 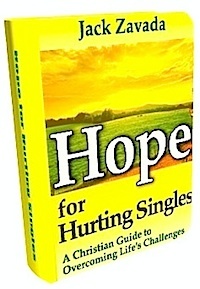 Check out the contents of Hope for Hurting Singles. While we're talking about hope and happiness in this newsletter, let's also talk about love. It's no secret that you and I want to be loved. Every person on this planet wants to be loved, no matter how tough or indifferent they act. Most of the tragedies of life are caused by people who believe they are not loved. But how do we get the love we're looking for? How, as single people, do we find love without taking desperate measures? Perhaps the answer is for each of us to become more lovable. 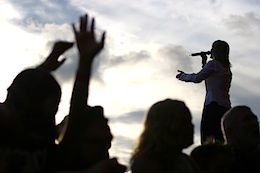 Here's an article I wrote some time back for www.christianity.about.com. It provides some practical advice and some guidance on how each of us can become more lovable. I'm writing this Inspire-O-Gram just before Father's Day in the United States. My Dad, John Zavada, died in 1995, but he left me enough love and wisdom to last the rest of my life. If you're struggling today, my father has something to say to you. You see, he was wounded in World War II, which left him disabled. Before that, he had to drop out of high school to help his father support their large family during the Depression. My Dad was one of the wisest men I've ever met. 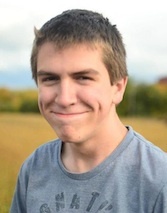 He loved Jesus and set an example for my brother and me that made us men of God too. Whether you're disabled or not, I think you'll appreciate these lessons from my Dad. I hope you're enjoying life and asking Jesus to help you with the challenges it throws at you. This single life can be a tough one, but through the grace of God, we can be bigger than anything we face. As always, I'm as close as your keyboard. You can always reach me using our gluten-free contact form. Thank you for reading this Inspire-O-Gram. If you have a friend who would benefit from it, please forward it on to him or her. Until July, may God pat you on the head and send you on your way!